The hustle and bustle of the city has to happen somewhere! 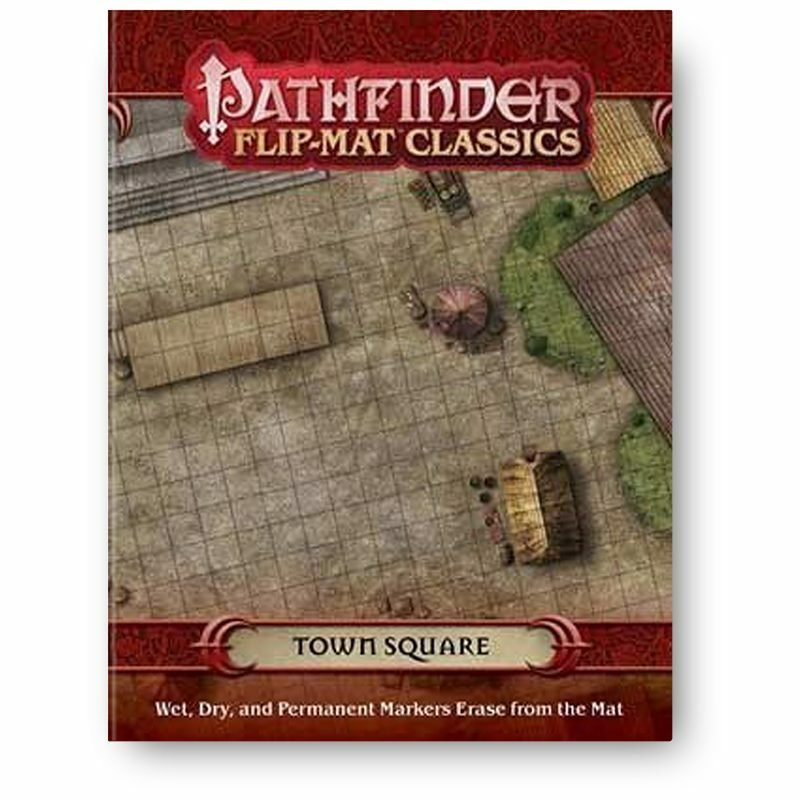 From market stalls to the city gates, Flip-Mat: Town Square is a perfect set-piece for any campaign, and it makes a great location for calming riots, battling invaders, picking pockets, or weathering a siege! A special coating on each Flip-Mat allows you to use wet erase, dry erase, AND permanent markers with ease! Removing permanent ink is easy—simply trace over any permanent mark with a dry erase marker, wait 10 seconds, then wipe off both marks with a dry cloth or paper towel. 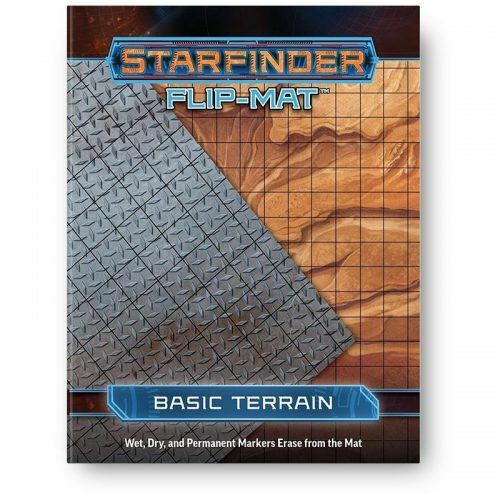 Each Flip-Mat measures 24″ x 30″ unfolded, and 8″ x 10″ folded. 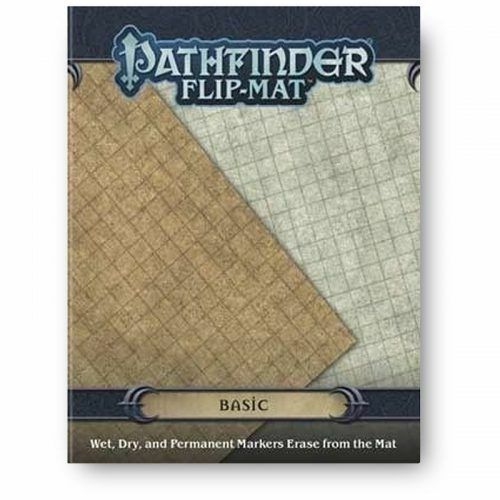 The most-popular Pathfinder Flip-Mats in history return! 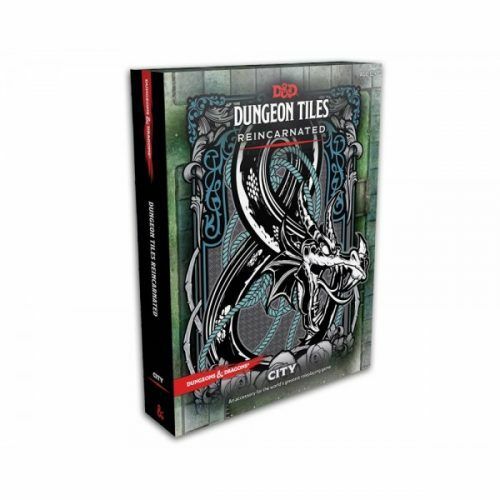 These fan-favorite maps feature versatile adventure settings—city streets, forests, ships, taverns, and more—and now they’re back for a repeat performance. 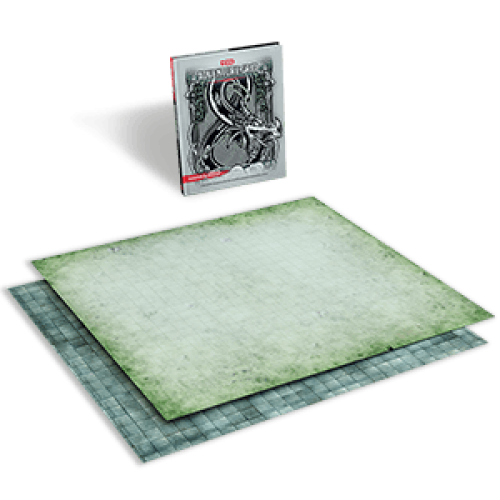 Durable and lavishly detailed, these essential adventure set pieces are sure to bring excitement to your game table for years to come!